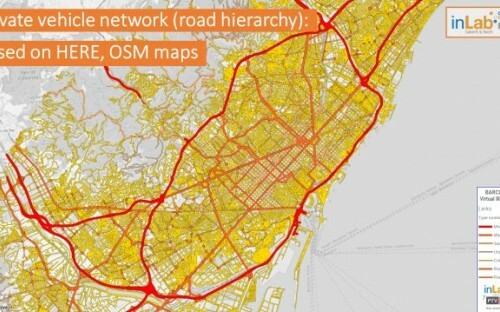 The inLab FIB UPC has carried out the first detailed multimodal modeling of the First Crown of the Metropolitan Area of Barcelona that integrates both the offer of all modes of public transport, as well as the road by the private vehicle and the demand for updated mobility. 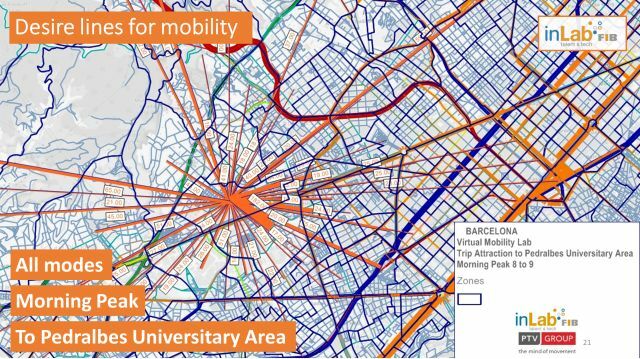 The new modeling will support, once the model has been validated and calibrated, decision-makers in mobility policies, as well as transport operators or new companies that develop new mobility alternatives and want to evaluate them. 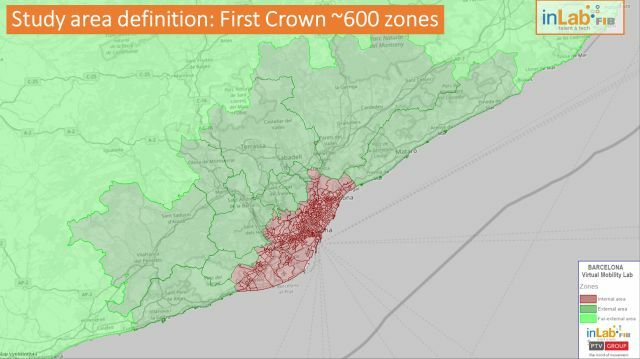 The First Crown consists of 18 municipalities and has been divided into about 630 transport zones (TAZ, Transport Analysis Zones) compatibles with the hierarchy of administrative division (counties, municipalities, districts, census sections). 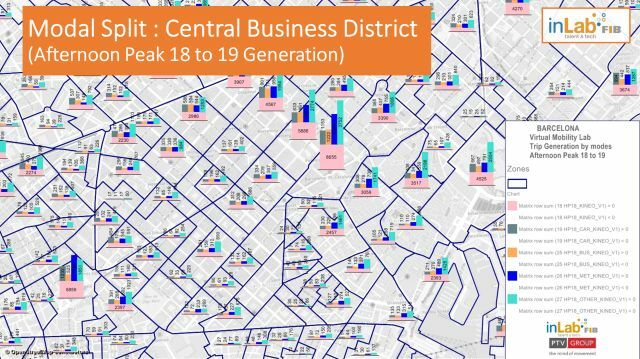 The zoning criteria have been: homogeneity of size in terms of population (around 5000 people / TAZ) and homogeneity of land uses and access to infrastructures. 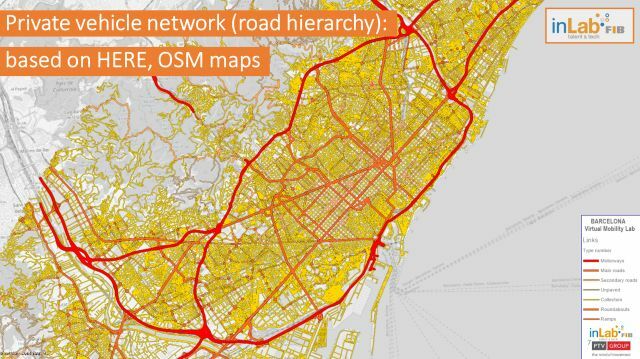 The transport hubs have been specifically considered (Airport, for example). 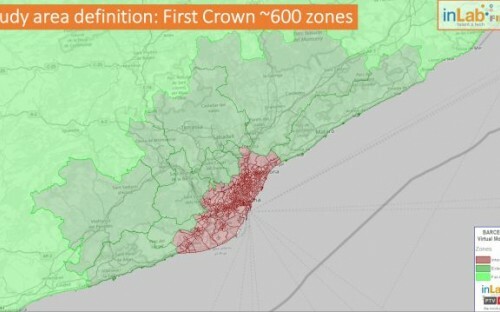 The city of Barcelona has been divided into about 350 TAZ. 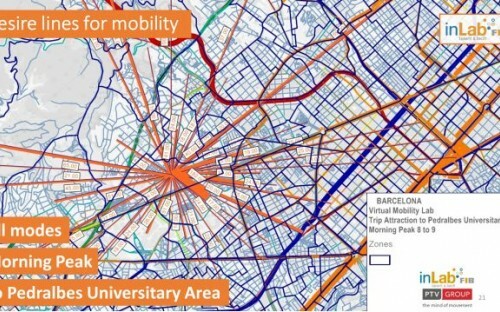 The development of a fully multimodal model has been possible due to the detailed representation of the modal interchangers. 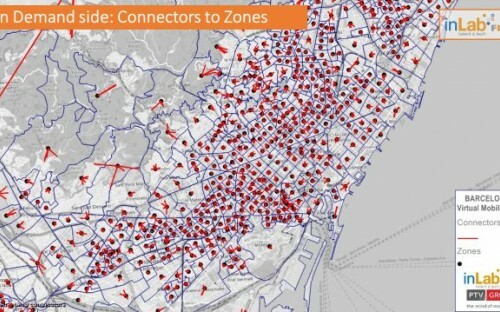 The demand for mobility between pairs of transport zones (DO couples) considered data from mobile telephony (KINEO) at the end of March 2017, therefore, very current.A first version of modal mobility matrices for the study area was obtained by merging with historical data published by the transport authorities of the area. 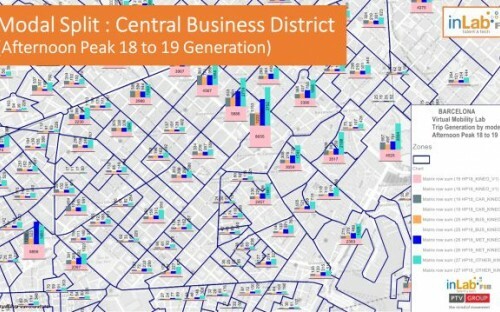 The validation of the obtained modal demand reflects the known and published data. 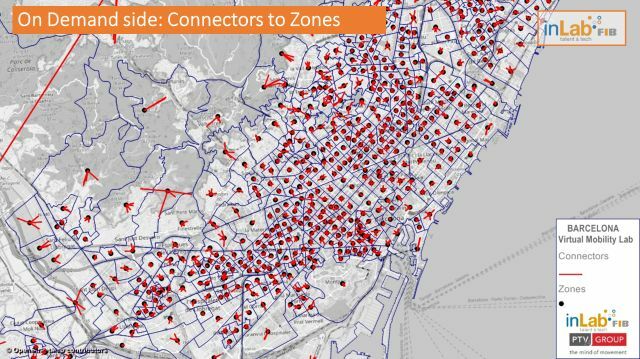 VML is being developed within the framework of the CARNET initiative and in collaboration with SEAT and PTV IBERIA.